Spanish and U.S. negotiators concluded the Treaty of San Lorenzo, also known as Pinckney’s Treaty, on October 27, 1795. The treaty was an important diplomatic success for the United States. It resolved territorial disputes between the two countries and granted American ships the right to free navigation of the Mississippi River as well as duty-free transport through the port of New Orleans, then under Spanish control. Prior to the treaty, the western and southern borders of the United States had been a source of tension between Spain and the United States. The U.S. border extended to the Mississippi River, but its southern stretch remained in Spanish territory, and Spanish officials, reluctant to encourage U.S. trade and settlement in a strategic frontier area, kept the Mississippi River closed to American shipping. Moreover, both Spain and the United States claimed portions of the present-day states of Alabama and Mississippi, and earlier negotiations to resolve the territorial disputes had broken off inconclusively. The Spanish government maintained several forts in the disputed territories, and could also count on indigenous resistance to U.S. attempts to survey or encroach upon Native American lands. U.S. citizens from the southern states and frontier areas found Spanish policies restrictive, and wanted the U.S. Government to renegotiate its positions. Prior to 1789, Spanish policy had focused on keeping American trade and settlement in frontier areas to a minimum, and so neither Spanish colonial officials nor policymakers in Madrid were interested in granting the concessions that U.S. negotiators had attempted to obtain earlier. However, Spanish interests changed during the wars of the French Revolution. Spain joined the other European monarchies in war against France in 1793, but by 1794 Spanish forces experienced defeats in the Caribbean and Europe. Spanish King Charles IV, uninterested in managing political affairs, had earlier handed political and diplomatic responsibilities to his prime minister, Manuel de Godoy. Godoy sought to extract Spain from its alliance with its traditional enemy Great Britain, and to restore peace with France. Godoy’s policy was not without risks, as antagonizing the British would put Spanish colonies in the Americas at risk. While Spanish diplomats sought to shift Spanish alliances, U.S. diplomat John Jay arrived in London to negotiate a treaty with Great Britain. 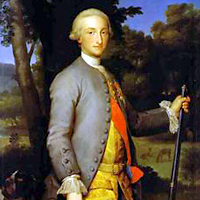 Spanish officials feared that Jay’s negotiations would result in an Anglo-American alliance and an invasion of Spanish possessions in North America. Sensing the need for rapprochement, Godoy sent a request to the U.S. Government for a representative empowered to negotiate a new treaty. 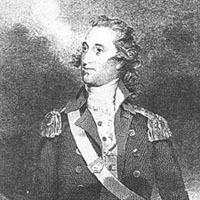 President George Washington selected South Carolinian Thomas Pinckney, who had been serving as United States minister to Great Britain. Pinckney arrived in Spain in June of 1795, and negotiations proceeded swiftly. Spain’s political and military position had weakened under its defeats and war expenses, while population growth in Kentucky and Tennessee, combined with a shortage of European ships to sustain trade with Louisiana, made Spanish officials amenable to a change in restrictive Spanish trade policies. Godoy offered to accept the 31st parallel as the U.S.-Florida border as well as the right to free navigation of the Mississippi, which Americans west of the Appalachians supported enthusiastically. In return, Godoy requested that the United States commit to an alliance with Spain. Pinckney rejected the alliance, and after further consultation Godoy provided the same offer without the necessity of the alliance. Nevertheless, negotiations came to an impasse as the Spanish continued to insist on their right to require duties for goods passing through Spanish-held New Orleans. Pinckney threatened to leave without signing a treaty unless the Spanish dropped duties on American trade passing through New Orleans. The next day, Godoy agreed to Pinckney’s demands, and the two negotiators signed the treaty on October 27, 1795. The final treaty also voided Spanish guarantees of military support that colonial officials had made to Native Americans in the disputed regions, greatly weakening those communities’ ability to resist encroachment upon their lands. The Treaty of San Lorenzo enabled and encouraged American settlers to continue westward expansion, and made frontier areas more attractive and lucrative. Consequently, it was popular with the American public, especially in the West and South. Since Thomas Pinckney was associated with the Federalist Party, the treaty served to bolster the Federalists outside of their New England stronghold and give the party a stronger base in areas where it had traditionally been weak. Diplomatically, the treaty marked a reverse in Spanish policies that attempted to maintain a strong buffer region in North America, while placing the United States in a stronger position in relation to European powers compared to the U.S. concessions made in Jay’s Treaty.